Direct Printing Impressions (DPI) has announced the appointment of Richard Krasner as executive vice president and partner. 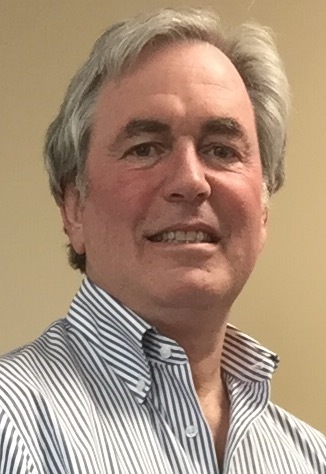 Krasner, a 37-year print industry veteran, will be responsible for driving sales and revenue, maintaining effective communication between estimating and production, and handling general management responsibilities at DPI, a high-quality commercial printing firm located in West Caldwell, NJ. Founded by the Luggiero family 20 years ago, DPI today has a fully integrated sheetfed offset plant that employs 22 people. With its Heidelberg presses and digital equipment, DPI can print in up to six colors with coating on stocks ranging from 35-lb. sheet to 39-pt. board. Its customer base includes corporate clients, manufacturers, advertising agencies, design firms, and the printing industry. Krasner is well known in New York-New Jersey metro area graphics industry both as a sales professional and as a supporter of industry causes, particularly in education. He is a past president of the Graphic Communications Scholarship, Award and Career Advancement Foundation (GCSF), a volunteer group that has distributed more than $500,000 in learning grants to metro area students who enroll in undergraduate and graduate degree programs in graphic communications. He also sits on the New York City advisory board of Virtual Enterprises International (VEI), a national educational nonprofit that transforms young students into future leaders and entrepreneurs. The programs of VEI are supported by The New York City Department of Education, educators, industry leaders, and mentoring professionals. Printing Industries Alliance (PIAlliance) has appointed metro area industry veteran Rich Barbaria to fill the newly created position of Member Development Manager. Having served as vice president of operations and general manager for several large metro printing operations, Barbaria has an extensive background in all aspects of graphic communications business management. His areas of expertise include strategic and tactical planning; graphics and print technology; production management; workflow optimization and streamlining; continuous improvement and lean manufacturing; customer service development; regulatory compliance; and sustainability. Working from a home office in Seaford, NY, Barbaria will be available to members across the entire Printing Industries Alliance footprint. PIAlliance President Tim Freeman said, “We are extremely pleased to add someone with Rich’s experience and commitment to our staff. Rich has been a fixture in the metro New York printing industry for many years and has great contacts in the printer and vendor communities. As Member Development Manager, Barbaria will assist current PIA members in optimizing the production and financial success of their companies. He also will be involved with membership sales and several projects relating to his areas of expertise. Barbaria can be contacted by phone at (516) 528-4747 and by e-mail at rbarbaria@pialliance.org. His mailing address is 3951 New York Avenue, Seaford, NY 11783. Commentary: I’ve known Rich Barbaria for many years as a valued editorial source and as an esteemed educational colleague (we both have taught graphic communications at New York City College of Technology). Nobody knows the metro area graphics industry landscape, particularly on Long Island, better than Rich. Like Marty Maloney, he’s an outstanding addition to the PIAlliance professional staff roster. His appointment is further proof of the association’s commitment to the well being of its members throughout the metro area. Mark R. Hahn has announced the formation of Graphic Arts Advisors, LLC, headquartered in Mountain Lakes, NJ with an additional office in Dallas, TX. Graphic Arts Advisors, LLC is a boutique strategic financial advisory and consulting firm focused exclusively on the printing, packaging and related industries. The firm provides financial advisory services to clients with both mergers and acquisitions (M&A) and capital transactional needs of up to $100 million and consulting services related to valuations, corporate restructuring and turnarounds, and strategic shareholder advisory services. 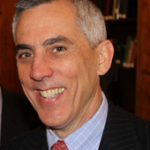 Prior to founding GAA, Hahn served as Senior Vice President of NAPL’s Business Advisory Group with primary responsibility for the group’s M&A practice. Before joining NAPL, he held several senior management positions at a diversified graphic services company, most recently as CFO/COO and Corporate Development Officer. 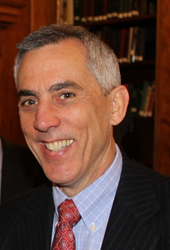 Hahn previously served as a Managing Director of Brownstein Corporation, a nationally recognized financial advisory firm. He is regularly quoted and published in several printing industry trade and management journals; and through his monthly blog, The Target Report, Hahn provides the printing, packaging and related industries with a high level overview of industry trends and a central source of information where owners, investors, lenders and other professionals can view information about the latest mergers, acquisitions and restructuring in the printing industry, broadly defined. Graphic Arts Advisors, LLC is a boutique strategic financial advisory and consulting firm focused exclusively on the printing, packaging and related industries serving clients with revenues of between $5 and $100 million and transactional needs of up to $100 million. Additional information can be found on the company’s website. Printing Industries Alliance, the trade organization dedicated to supporting the success of the New York State, northern New Jersey, and northwestern Pennsylvania graphic communications industry, announced the appointment of Martin J. Maloney as its Executive Vice President, effective on December 1, 2014. Maloney, whose graphic communications career spans 40 years, brings a wealth of experience and knowledge in every facet of the graphic communications business to the position. Maloney is currently Chairman of Broadford & Maloney Inc. (BMI), a full-service marketing, public relations, and advertising firm dedicated to serving the needs of the graphic communications industry. Starting in December, BMI is transitioning to a public relations and marketing consultancy that will serve only a few select clients. In the last two decades, BMI’s long-term clients included HP Indigo, The New York Times, Xerox, DuPont, Procter & Gamble, Polaroid, Agfa and many more. Also served were hundreds of printers from RR Donnelley to the corner digital print shop. Before starting his own firm, Maloney was Chief Marketing Officer for Arcata, where he served on the LBO team to facilitate the nation’s first billion-dollar leveraged buyout. Previously he was Vice President, Marketing for the Graphics Division of John Blair & Company, which had 14 printing, mailing and marketing companies including Meehan-Tooker and Alden Press. Concurrently with BMI he was a Board Director for Cenveo, a $2 billion printing firm with 90 plants. In this role, he served as Lead Director, Chair of Corporate Governance and sat on the Audit, Compensation and Search committees. He also was a founder and first Executive Director of The Print Council, an advocacy organization for the printing industry. On the legislative side he was Chairman of a 6,000-member PAC and served on the Finance Committee for a six-term Congressman. Maloney is a longtime member of the Advisory Board of the department of Strategic Communications, Marketing, and Media Management (SCM3), part of New York University’s School of Professional Studies. 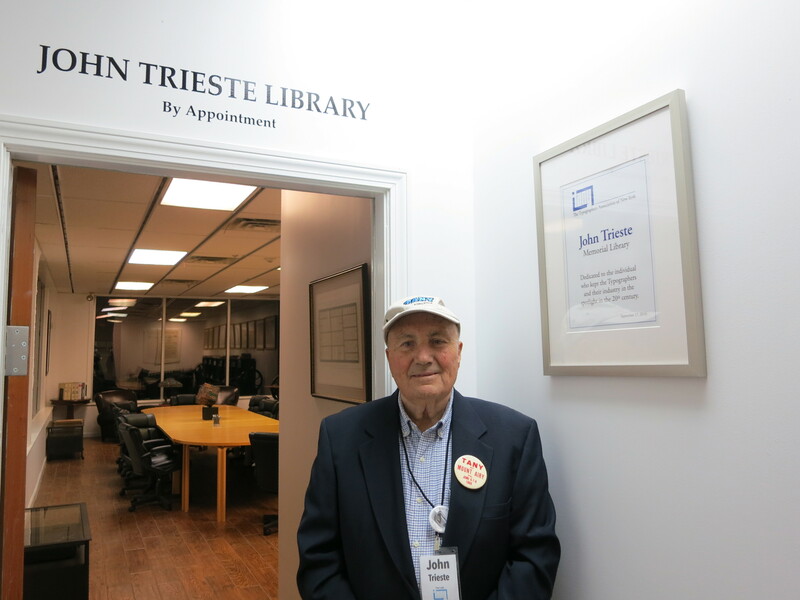 He recently concluded a three-year term as Board Chair. SCM3 includes the master’s degree program in Graphic Communications Management and Technology, in which Maloney teaches graduate courses as an adjunct professor. Maloney is also a 20-year member of the Franklin Committee and was a four-time chairman of the event; he continues to serve on the Franklin Luminaire Committee. Maloney is a frequent speaker at industry functions. Maloney will work from the newly established New York City satellite office of the Printing Industries Alliance in Park Slope, Brooklyn, in the exact center of the five boroughs and also equidistant from Long Island, northern New Jersey, western Pennsylvania, and New York’s Westchester County. 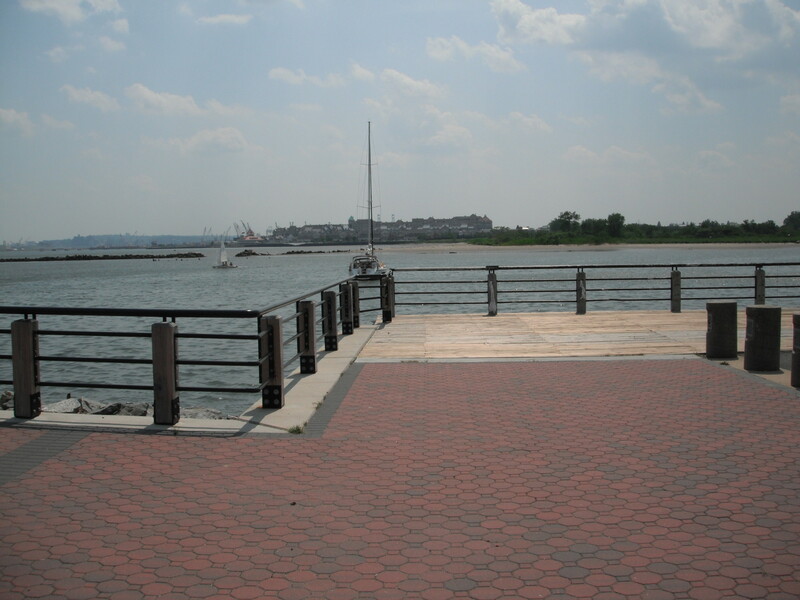 The office is located at 195 Prospect Park West, Suite 1A, Brooklyn, NY 11215. The office number is 718-499-0401. Maloney’s direct dial and cell number is 203-912-0804. He can be reached via email at m.maloney@bmcorp.com or mmaloney@pialliance.org. Printing Industries Alliance provides a variety of consultative, informational, and cost saving services to support its members’ success and to provide a significant ROI on their dues investment. In addition, the organization provides industry representation to a variety of governmental entities at the local, state, and federal levels. 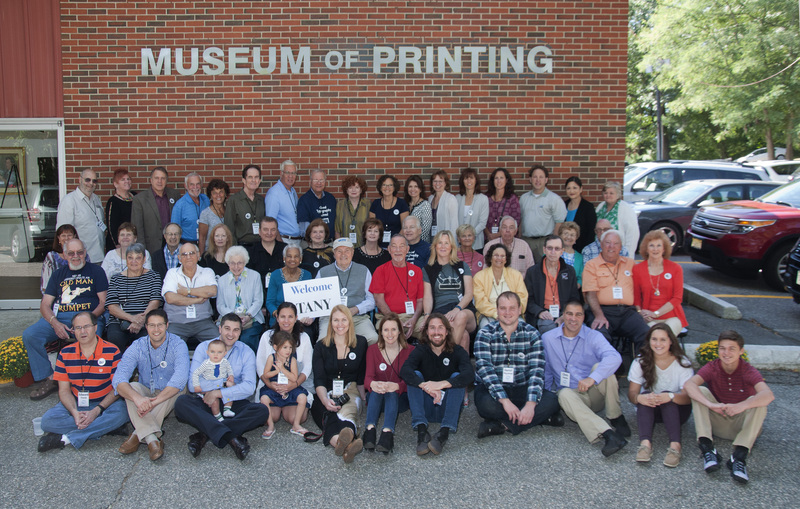 Printing Industries Alliance is a regional affiliate of Printing Industries of America and is headquartered in Amherst, NY. Commentary: Marty’s impressive list of career achievements speaks for itself. But, what the announcement may not convey to those who don’t know him personally is the depth of his charismatic and inspirational leadership style. I’ve enjoyed the pleasure and the privilege of his acquaintance for many years, and, speaking also as a member of Printing Industries Alliance, can say that I’ve never seen a better match of personality to position than the one that underlies Marty’s acceptance of this important job. In recruiting Marty, Tim Freeman has picked someone fully capable of sustaining the exemplary tradition of industry service established by Vicki Keenan, Marty’s predecessor in the role. The fact that he’ll be representing the association from a home base in Brooklyn means that at long last, NYC-metro printers will have a resident spokesperson and a problem-solver for the five boroughs in their midst once more. Here’s wishing Marty all the best, and here’s a salute to Printing Industries Alliance for a brilliant choice on behalf of its members everywhere. 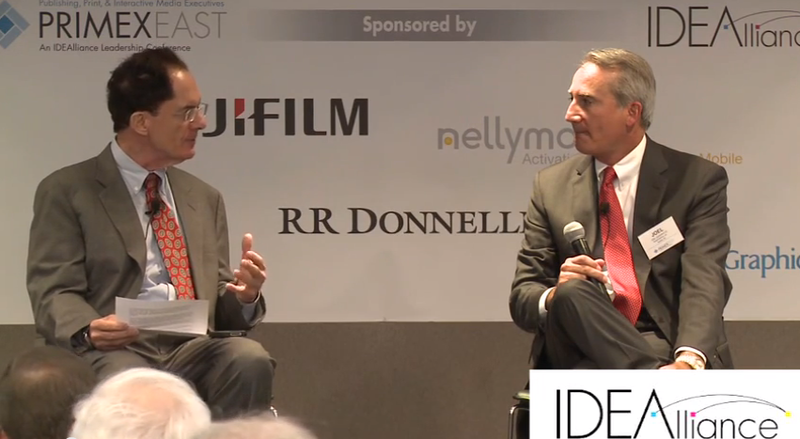 Joel Quadracci (right) is interviewed by Patrick Henry at PRIMEX East. On June 19, 2014, I had the privilege of interviewing Joel Quadracci, chairman, president, and CEO of Quad / Graphics Inc., in his keynote presentation at PRIMEX East, a leadership conference in New York City sponsored by IDEAlliance, Quad, and other industry partners. Answering my questions on behalf of WhatTheyThink, and fielding numerous additional questions from the audience, Quadracci covered a wide range of subjects relating to the state of the industry and Quad’s role in it. IDEAlliance has now posted the video recording of the nearly hour-long interview along with recordings of most of the other PRIMEX East sessions. These include remarks on the outlook for the U.S. Postal Service by its Postmaster General, Patrick R. Donahoe; and a report on the continuing turmoil in the periodical distribution industry by a leading authority in the field, John Harrington of Harrington Associates. Partners Philip J. McGee (left) and Alfred J. Basile in the pressroom of The Wall Street Group. Not some of it. All of it: production equipment. Paper. Press bays and workspaces. Lights and HVAC. Telephones and computers. Jobs in progress. Literally every material item housed within a printing plant either damaged beyond repair or knocked completely out of commission. Now, try to imagine surveying this overwhelming devastation and vowing—without knowing how or even if the vow can be fulfilled—to re-emerge from the dead zone into which a vast wall of black water has brutally shoved your printing business. 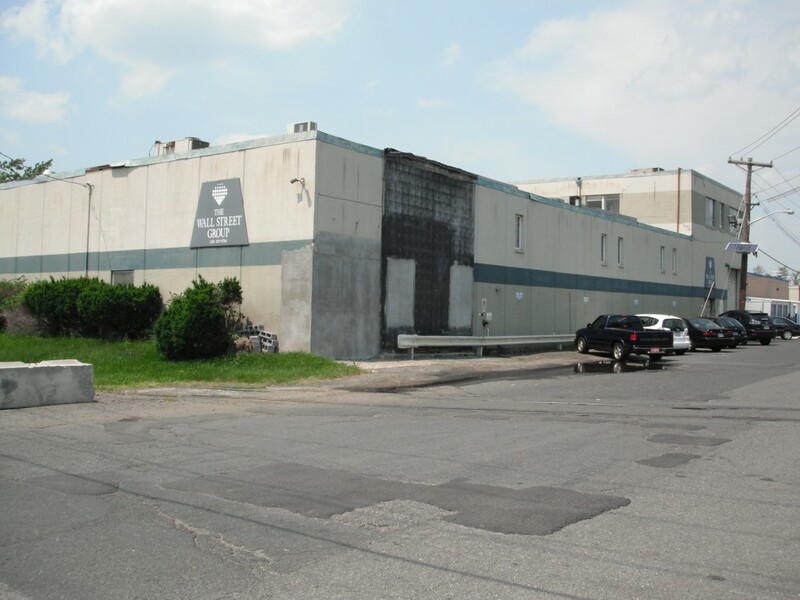 Outwardly, there’s nothing to indicate that the printing building at 1 Edward Hart Drive had been lying squarely in the path of one of the worst natural disasters to strike the NY-NJ metro region in a generation. Inside, fresh slabs of sheetrock and the smell of new paint speak of a cleanup—but not of the gigantic task confronting partners Alfred J. Basile and Philip J. McGee as they began to comprehend the full extent of the harm that the killer storm had done. What they did when they were able to regain access to the darkened, still partially flooded plant a few days later was simply to tackle whatever was in front of them. The owners and their 30 employees immediately pitched into the bailing, hauling, salvaging, and scraping with no more guidance than the knowledge that these things desperately needed to be done. Moving just as quickly, Basile and McGee brokered out whatever work was ready for production or had to be rerun. Having satisfied themselves that obligations to customers wouldn’t be compromised, they then turned the somber job of inventorying damaged equipment and determining what could be saved and what would have to be replaced. Basile and McGee aren’t the only printers in the metro area to have taken a body blow from Sandy, but we don’t know of any others who have faced up to a greater loss with more resilience and perseverance. Those virtues are the products of a decades-long partnership between two print professionals who epitomize all the qualities of endurance associated with the printing industry in this region. On October 29, 2012, water surging from superstorm Sandy breached the plant’s front doors and destroyed or damaged nearly everything inside the building. The story of The Wall Street Group begins with the small Multilith shop that Basile started at 27 Whitehall Street in Lower Manhattan in 1966. About four years later, he moved the business to 11 Broadway where McGee, a former print buyer for Western Electric and sales manager for Xerox, was working for another printing firm. 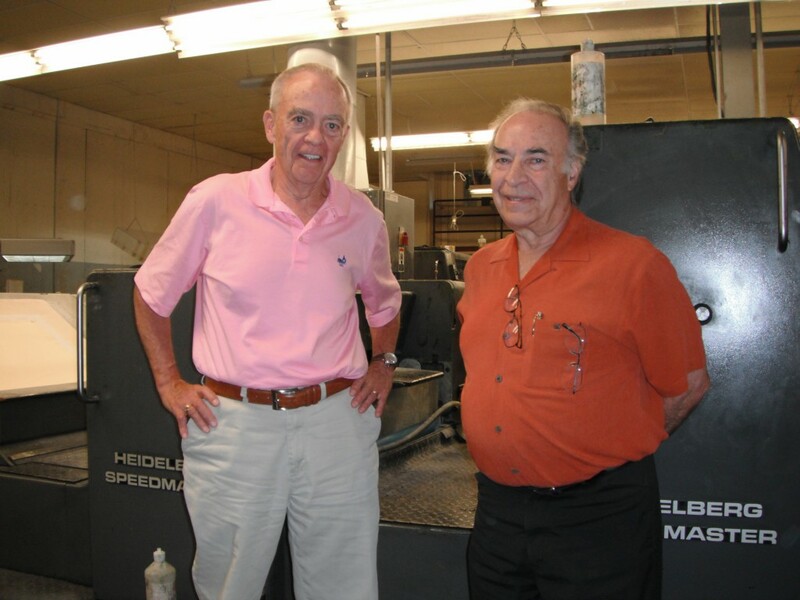 Joining forces, the two men went on to acquire a Mountainside, NJ, printing company that had offset presses larger than the small-format Multis they were running. They moved the Broadway and Mountainside operations to Harborside, NJ, in 1981. Five years later, everything was consolidated in the Jersey City plant near Liberty State Park that The Wall Street Group now occupies. After refurbishing the building—a former metalworking plant—the partners installed 40” presses, a full bindery, and, eventually, digital presses and mailing equipment. 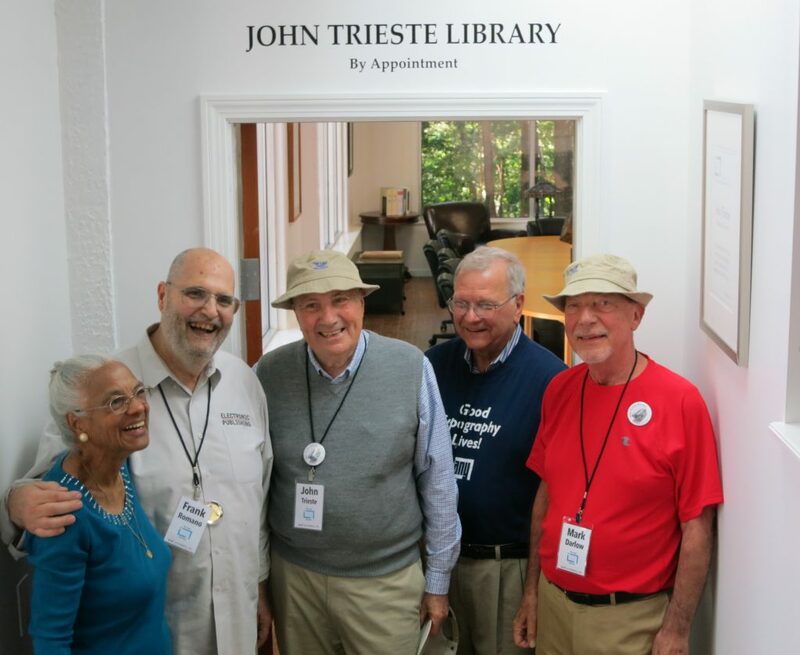 Now that the company is just a few years shy of the 50th anniversary of the founding of the seminal business on Whitehall Street, the partners are clear about what has been most responsible for carrying them toward the golden milestone: their absolute commitment to customer service and to meeting what others might regard as impossible deadlines. “We try not to have one-shot customers,” says McGee of his and Basile’s belief in making all customer relationships last. This they accomplish primarily by refusing to say no. They refrained from saying it, for example, in the case of the customer who one afternoon sent in an order for 50 Wire-O bound booklets with UV-coated covers that had to be in someone’s hands in Boston the next morning. Thanks to vertically integrated production assets that included digital presses for the inside pages, an offline UV coater for the cover, and a Wire-O machine for the binding, The Wall Street Group was able to turn around in hours what might have taken another printer days. “Nobody wants to wait for anything today,” says McGee, adding that being equipped for same-day production gives The Wall Street Group a significant edge over rivals lacking the capabilities it has. Another key to longevity, he says, is the fact that the company doesn’t do and thus has never had to depend on low-end commodity work. It also pledges to optimize for printing everything its customers send it, correcting errors and doing whatever else it takes to make the job run problem-free. This is a habit developed in the old days, says McGee, when “customers used to give us a bag of paragraphs” and expect the hodgepodge to be turned into crisp, coherent documents. The plant typically operates on two shifts, five days a week. Nowadays its output is about half digital print and half conventional offset. Such was the state of affairs last October 29, when Basile, McGee, and their staff battened down the plant for the bad weather they knew was on the way. But, like nearly everyone else in the storm’s path, they had no idea of how bad it would turn out to be. Basile and McGee sandbagged the loading dock doors, double-skidded the paper in the storage area behind them, sent everyone home, and hoped to avoid the worst. That night, storm surge in Upper New York Bay reportedly lifted the sea level high enough to obscure the pedestal of the Statue of Liberty. Some of it swelled into the inlet facing Edward Hart Drive, leaping over the low pier of the marina there and pouring straight up the street toward the plant, only a few hundred yards from the water’s edge. The misplaced curtain of water struck the building with so much force that it literally tore the massive loading dock doors from their frames. Their wreckage, along with tons of spoiled paper, lay strewn across the parking lot outside. Within the plant, a flight of stairs leads from the mezzanine to the ground-floor pressroom. A faint stain just below the level of the fifth step from the bottom indicates the depth of the inundation that occurred when the water boiled through. Located a few hundred yards below the plant, this shoreline scene looks peaceful now—but on the night of the storm, it turned into a floodgate of devastation. Before it receded, the water had crested at a point where it submerged press motors and flooded nearly every other piece of equipment in the production area. Basile and McGee were able to recover and rebuild the press motors—about 50 of them—but what had happened to many of the other machines was much worse. Now junk and in dire need of replacement were the plant’s digital presses, its CtP platemaker, its paper cutters, and one of its saddlestitching lines. The flood’s only unequivocal survivor was an envelope tabbing machine that had been placed on an elevated surface at some earlier point. The hard work of reclaiming the plant—including drying, repainting, tearing out and rebuilding walls, and treating the entire 32,000-sq.-ft. building to prevent mold—went on for months, often in miserably cold and dark conditions. Basile and McGee reckon that the damage to plant and equipment came to about $2 million. They estimate that payments from FEMA flood insurance will cover a little less than one-third of the losses they sustained. Brokering went on for about three months until production could resume. The partners are under no illusions about the difficulties they will continue to face as they try to put Sandy and the losses it inflicted permanently behind them. But, the mere fact that the plant is back open and producing represents one of the most remarkable stories that the metro area printing industry has been able to tell in Sandy’s aftermath. 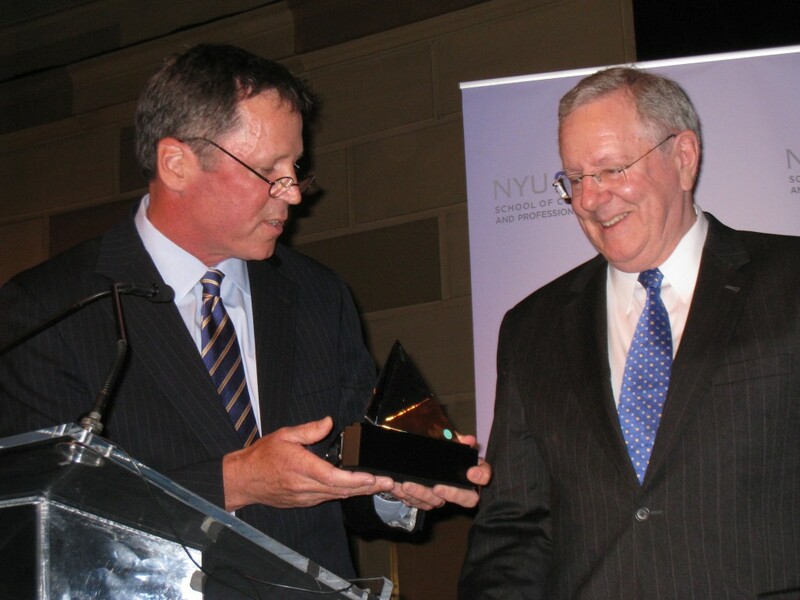 Steve Forbes (right), chairman and editor-in-chief, Forbes Media LLC, accepts the Prism Award from Mike Federle, COO, Forbes Media LLC. The graphic communications industry continues to struggle with declining sales, squeezed profit margins, restricted access to capital, and business pressures of every imaginable kind. But, none of that has dampened the enthusiasm of those who support the Prism Awards, a high-profile achievement recognition program that rings with optimism every year under the auspices of New York University’s School of Continuing and Professional Studies (SCPS). On June 21, the event marked its 26th anniversary with a record turnout and another record for revenue generated on behalf of the M.A. program in Graphic Communications Management and Technology at SCPS. A large part of the draw was the presence of this year’s Prism Award recipient: Steve Forbes, chairman and editor-in-chief, Forbes Media LLC. 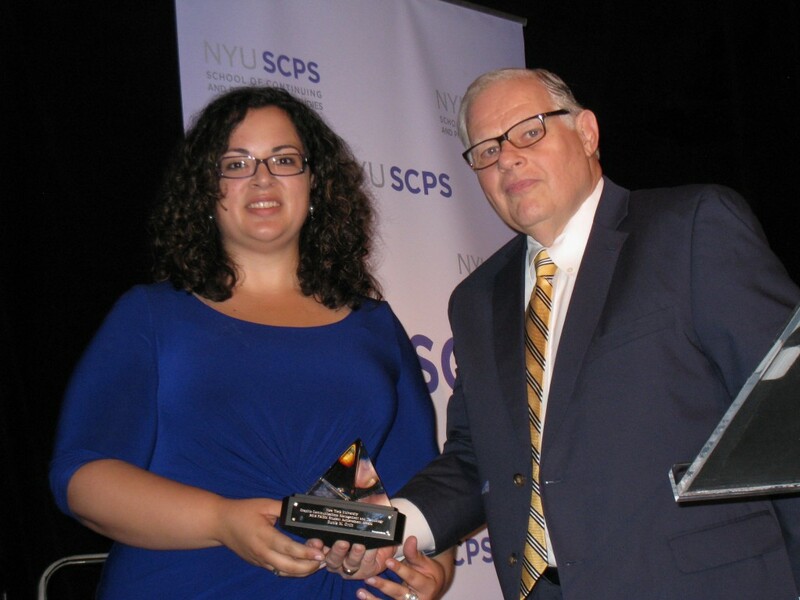 The ceremony, which took place at Gotham Hall near Herald Square, also featured the presentation of an Alumni Achievement Award to Michael J. Mulligan and a Student Achievement Award to Eunic M. Ortiz. The Prism Award has been given annually since 1986 in recognition of distinguished leadership in the graphic communications media industry. The Prism Award luncheon is the industry’s longest-running and most successful educational fundraising event, having collected millions of dollars for graphics studies since its inception. This year’s ceremony was emceed by M.A. program advisory board co-chairs Martin J. Maloney (Broadford & Maloney) and Kathy B. Presto (Williams Lea North America). Prism Award committee chairs were Francis A. McMahon (Océ North America) and Laura C. Reid (Hearst Magazines). All proceeds from the $750-per-seat event fund scholarships for students enrolled in the M.A. program in Graphic Communications Management and Technology, which has been in existence since 1981. Every year since then, many high-ranking industry executives have served on the M.A. program’s advisory board as curriculum consultants and as providers of internships and career guidance. The program, managed by academic director Bonnie Blake and assistant director Ansley Dunn, also enlists industry professionals as adjunct lecturers. Enrolled in the cross-disciplinary program are working professionals as well as full-time students, including a significant number of international participants. Topics of study include executive leadership, entrepreneurial thinking, finance, global marketing, managing the media mix, and graphic communication technologies. 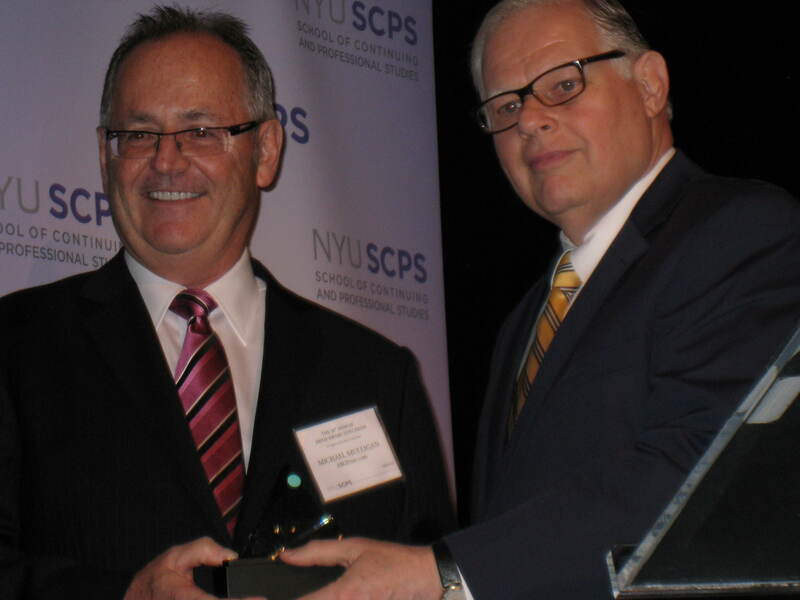 Michael J. Mulligan (left), recipient of the Alumni Achievement Award, with Martin J. Maloney, co-chair of the advisory board for the NYU-SCPS M.A. program in Graphic Communications Management and Technology. 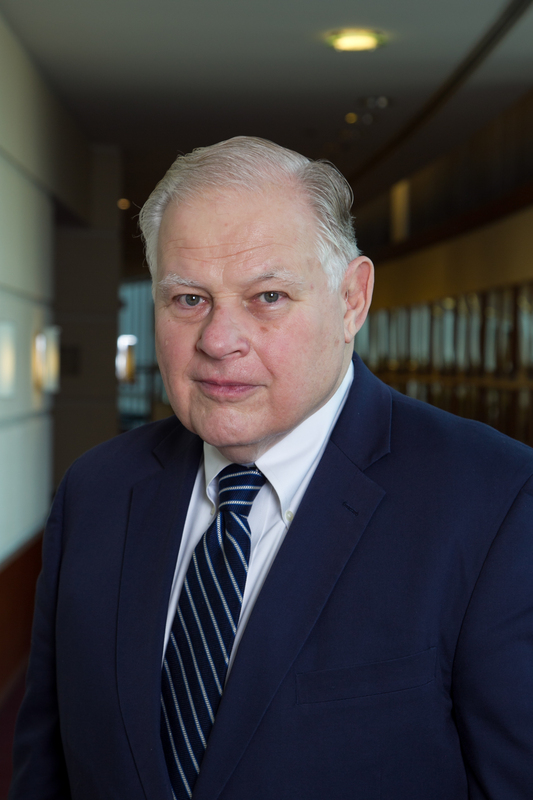 Mulligan, the Alumni Achievement Award recipient, credited the program with helping him to reimagine the mission of Advanced Business Group Inc. (ABG), a New York City digital printing company he founded in 1992. Billing itself as the city’s leading digital print provider for business, ABG offers a full range of quick-turnaround production solutions and marketing support services. Mulligan said that attaining an M.A. in the program led him to rethink his role as the CEO of the company that he started and continues to transform. Accepting the Student Achievement Award, Ortiz described herself as “the epitome of the digital consumer.” Professionally, she is a senior account executive at Fleishman-Hillard, where she develops online, digital, video, and social media campaigns for clients in corporate, government, and technology- related industries. She also has served as a Web, digital, and social media manager for the New York City Council. Maloney congratulates Eunic M. Ortiz on her receipt of the Student Achievement Award. “The experience I’ve had while in the Graphic Communications Management and Technology program has exceeded my every expectation,” she declared. Among the media properties managed by Steve Forbes are the namesake bi-weekly magazine, with a circulation of more than 900,000; the RealClear group of Web sites, including RealClearPolitics.com, which together with Forbes.com are said to reach 33 million readers every month; and 21 local-language licensee editions of Forbes publications for readers around the world. The Prism Award recipient also has written or co-authored four books and was, in 1996 and 2000, a campaigner for the Republican presidential nomination. Forbes told the Prism Award audience that while there are few “playbooks” to guide people in their career and life choices, a good education can help everyone to cope with the inevitable uncertainties ahead. “The true source of wealth in an economy is people’s minds,” Forbes said, adding that the ingenuity of educated people is what gives value to oil, microchips, and other commodities prized by business and society. Still an advocate of the political and social changes he called for during his quests for the Republican presidential nomination, Forbes briefly addressed the subject of health care and its future after the Supreme Court’s pending decision on the national health care plan put forth by the Obama administration. According to Forbes, the controversy surrounding the health care debate misses the point. “Why is the demand for health care seen as a crisis, and not as an enormous opportunity for entrepreneurs?” he asked. “How in the world do we get the patients in charge again, like the consumer is in charge of everything else?” Permitting the purchase of health insurance coverage across state lines would be one way of spurring entrepreneurial competition and “turning scarcity into abundance” in the health care marketplace, Forbes said. Last night, Jeffrey Hayzlett and a large crowd of friends and admirers packed the upper floor of a Manhattan restaurant to celebrate the launch of his latest book, Running the Gauntlet. Published by McGraw-Hill, Running the Gauntlet is a handbook for executive leadership that stresses the inevitability of change and the necessity of managing it from the front. In the space of about 200 pages, the book’s 33 succinct chapters present Hayzlett’s advice along with commentary by business leaders from whom he has “friendsourced” some of the content. The book is Hayzlett’s second in less than two years, following the May 2010 publication of The Mirror Test. Both were co-written by Hayzlett and Jim Eber, a business journalist. Both titles are available in printed and Kindle editions from Amazon.com. The print edition of Running the Gauntlet is unusual in being enhanced with SnapTags: mobile marketing action codes that deliver promotional content when snapped with camera-equipped mobile phones. SnapTags in the chapter headings provide links to videos that explain the core content of the chapters. Hayzlett is remembered by many in the graphic communications industry for his four-year stint as chief marketing officer at Kodak. He also was executive vice president for business development at Cenveo and is the recipient of numerous marketing and business awards and honors. When not traveling on lecturing and consulting assignments, Hayzlett resides in New York City and Sioux Falls, SD. The influence of the latter location probably accounts for the gems of cowboy wisdom to be found in the pages of Running the Gauntlet.